Young Living prides itself on many things, the biggest being natural health products. They have lines for skincare and for pets that are natural without harsh chemicals. The 100% pure, therapeutic-grade essential oils of copaiba, sacred frankincense, cedarwood, bergamot, peppermint, and clove with wild yam extract suspended in coconut oil makes this serum a must-have in every woman’s nightly routine. Wild yam has been known to help balance hormones, reduce bloating, reduce menstrual and menopause issues, helps regulate blood sugar and cholesterol, and is known for its anti-inflammatory properties. Now, my mom has struggled with hypothyroidism for my entire life. I gave her a bottle of this and told her to just try it. A month later, she went to her endocrinologist to test her thyroid, and they had to reduce the level of her medicine because it was getting too high. This does not mean that this serum fixed my mother’s hypothyroidism–she still has it and struggles with it. But if this can help balance out her hormones enough so her dose of medication was lessened, I don’t see why every woman wouldn’t want to have this in her cupboard. There are so many stories of Progessence Plus helping with migraines, painful periods, even TMJ pain! 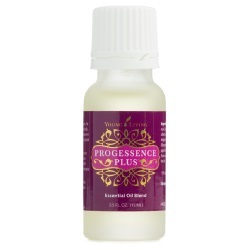 For best results, use 2-4 drops of Progessence Plus morning or night on your neck. Do not ingest! And do not use if you use a contraceptive that contains progesterone. Order anytime directly online or send an email to marissa@uptmassage.com. You can also sign up to be a Young Living Distributor where you always get at 24% discount off of retail. Next Next post: Uhh… Do I Really Have To Take My Clothes Off?